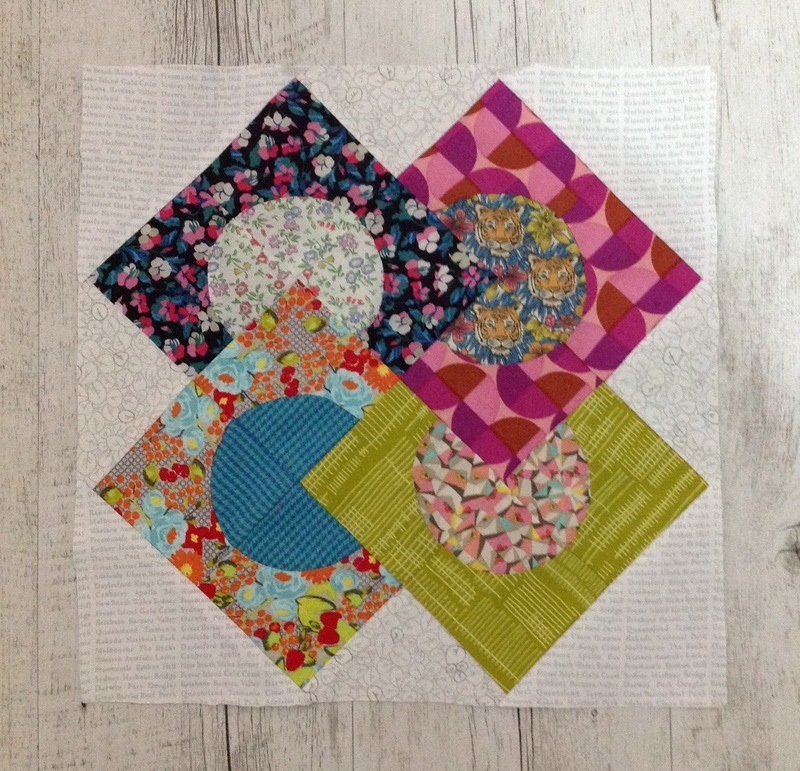 In about October of last year Jen Kingwell announced her new Block of the Month for 2017. 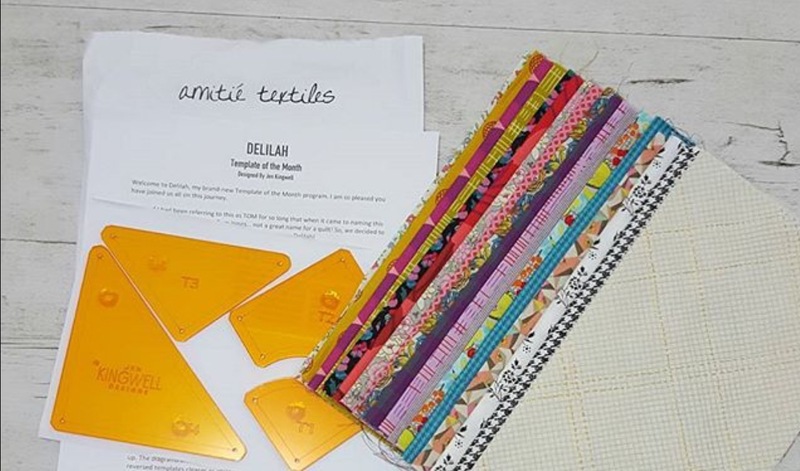 I love Jens work so I signed up immediately through Jens shop Amitie Textiles in Melbourne. This Block of the Month is a little different as every month it comes with a set of templates. So not only are participants making Jens "Delilah Quilt" we are also collecting a set of templates that can be individually used to make more blocks or quilts. Month one has arrived and as you can see I went for the Template and Fabric option. How could I not, I just love Jen's scrappy style. Did you notice the fussy cut in the one above? I am also going to add in a few of my own fabrics as I go. The more the merrier. This month I have added a few low volumes, plainer than what was included to help my colours pop. One month down and I am on track! 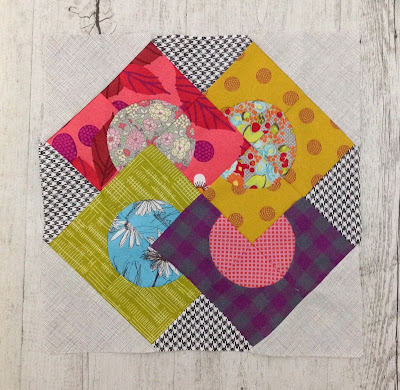 Next block arrives in a couple of weeks. 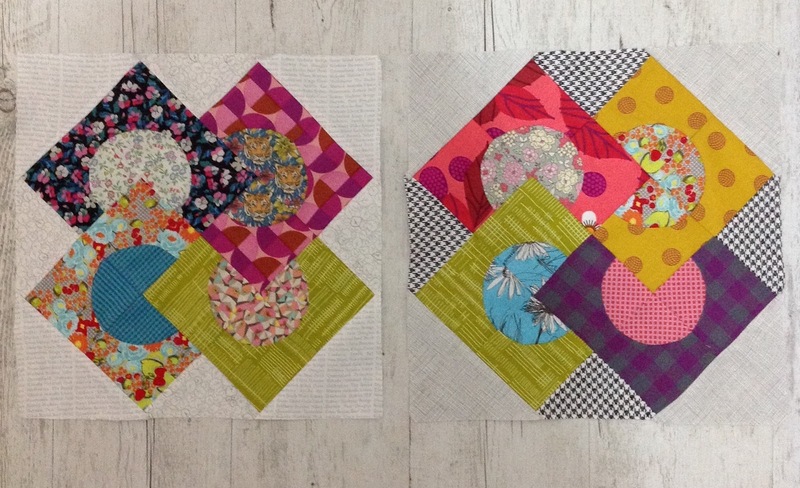 Wonderful blocks! I'm sure you'll enjoy using the fabrics Jen has picked, she does it so well! These blocks are gorgeous. Very striking. This is going to be a fantastic quilt. I would have so loved to participate in this TOM...so popular, sold out everywhere!! Its looking great by the way!! I too have bought a kit with templates from Amitie. I would love some hints on how to use these plastic templates. I had trouble with slipping and getting my rotary cutter around the template. It seems to be very slow compared to drawing around a paper template and cutting it out with scissors. I am in desperate need of help with how to use plastic templates. I love reading your blog and seeing your amazing work.